* Select the Multi plane camera effect in the Add FX menu. * Set the camera position parameter to (X=0, Y=0, Z=1000) and leave the angle at 0°. * Select a field of view of 30°, a depth of field effect of 0 and focusing distance of 1000. * Create a new plane and name it "bird". 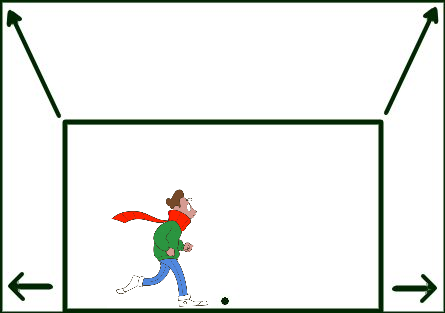 A panel similar to the one below will appear. * Choose a Source image to create the plane. 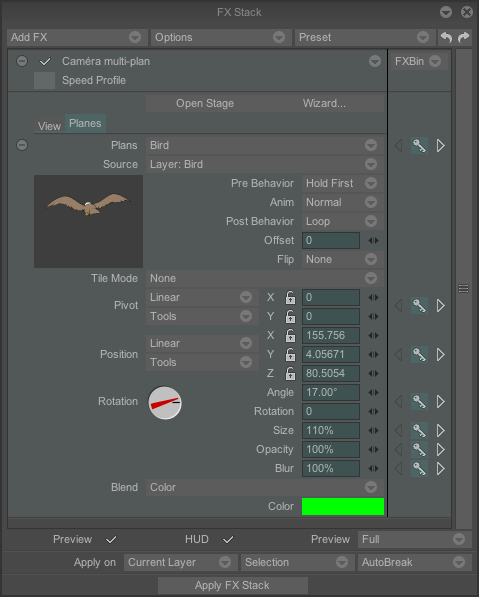 As was the case for the Keyframer effect, the source may be of various types (project, layer, paper, spare image, etc...) and you may set the pre-, post- behavior, animation mode settings, etc... We will select the "bird" layer for our project. * Choose a tile mode: Choose « none » in tile mode for our bird. * Set the Pivot and Position parameters. These parameters have the same functions as those discussed in the Keyframer effect, but don't worry, we will be taking another close look at them. * When the Pivot parameter is zero, the Position parameter represents the distance between the coordinate point (X=0, Y=0 and Z=0) and the center of the source image chosen. * The Pivot parameter allows you to use a reference point other than the center of the source image to adjust the position and size of your plane. This is very useful when you decide to modify the Size of your source image: Size modifications use this pivot point as origin point. * Adjust the size of your plane. * Now that your position, pivot and size parameters are correctly set, you may, if you wish, modify the angle and opacity of your plane as well as adjust the blur to be created with the focusing parameter (we will discuss this again later). 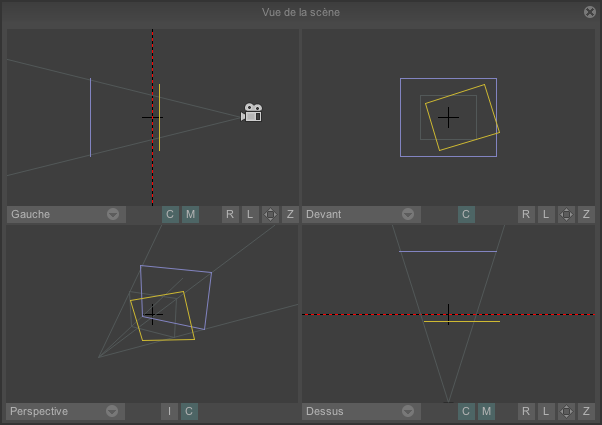 It is also possible to select a blending mode to be used for drawing the plane (color, tint, add, screen, etc…). For our "bird" plane, we have chosen Angle 17°, Size 110%, Opacity 100% and Blur 100%. The Blend mode is Color. * The HUD color box allows you to choose the HUD color for the current plane. This will help avoid any confusion when several planes are present on the screen (we have chosen a reddish orange color for our "bird" plane). * Create a new plane and name it Mountains. * Choose the Mountains layer of our project as source. * Our plane shows the mountain located in front of the bird. We must therefore give it a position value Z<0 (as our "bird" plane also has the position value Z=0). In this case we choose Z= -700. 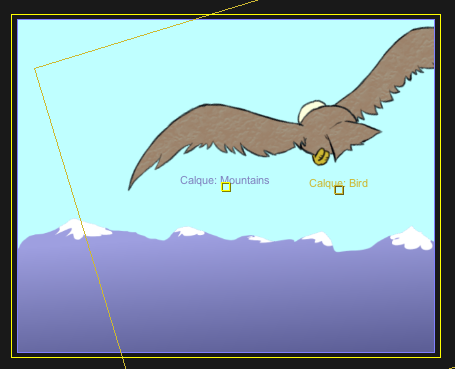 The 3D view is adapted immediately: You will notice that the Mountain plane is blue (or any other color you may have chosen previously) and the Bird plane is orange. All that is left is to choose the Size : 300%. Now that the second plane has been created, all that remains to be done is create the remaining planes in the same way : Keep in mind that the close trees must have a Z value greater than 0. If necessary, the FX stack corresponding to the parameters we wish to obtain is attached to the FX_Multiplan_Camera_TrackIn.tvpp project. 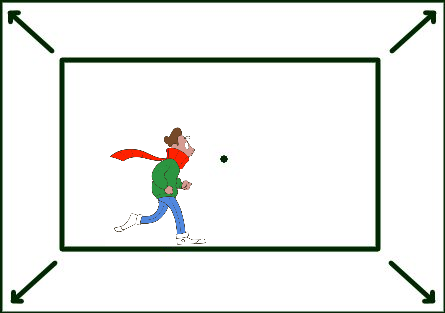 You must therefore close it and load it again in order to go to the next stage quicker. Now everything is ready to move the camera and obtain the desired result. To do this, return to the View tab, then move to the first frame of the Composite layer. Create an animation key for the Camera value. Don’t change the values that we defined earlier (X= 0; Y = 0; Z = 1000). Go to the last frame of the Composite layer. Create an animation key for the Camera value and set the values : X = -90, Y = 10 and Z = 650. The bird also needs to move. To do so, go back to the first frame of the Composite layer, go in the Planes tab and create an animation key for the Bird plane. Don’t change the values we defined earlier/Go to the last frame of the layer, then create another animation key, and set those values for example : position X = -230, Y = 75 and Z = -410, with an angle of -7, a size of 20%, and keep 100% for opacity and blur. 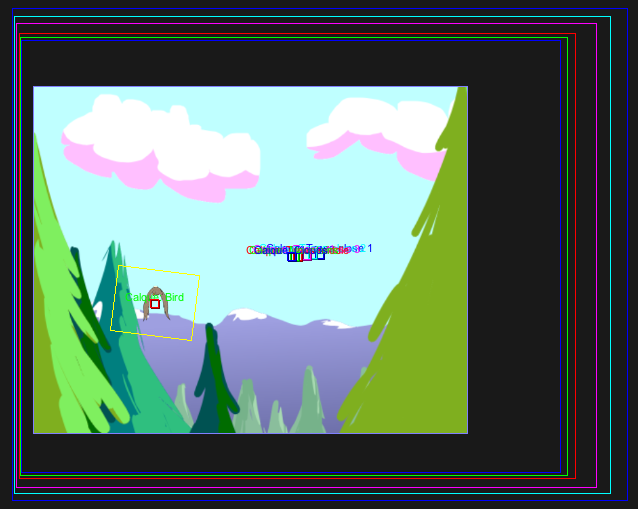 The use of animation keys with plane position parameters is only useful if the latter effectively move (if the camera is fixed: mountain, forest and trees are fixed). In our example, the birds moves, so the use of animation keys is relevant. Having more animation keys lets you have more control over the camera and/or planes movement.